With spring just around the corner, it’s safe to begin dreaming of lovely days spent outdoors. Here at Make Space Self Storage, we’re proud of our home county of Essex and the many things this beautiful county has to offer, including some amazing days out. With the weather soon to improve, it’s time to start planning some lovely days out, whether it’s during half term, at the weekend or over the much-anticipated bank holidays. If you’re ready to start planning your spring and summer, make sure to take a look at our new guide. 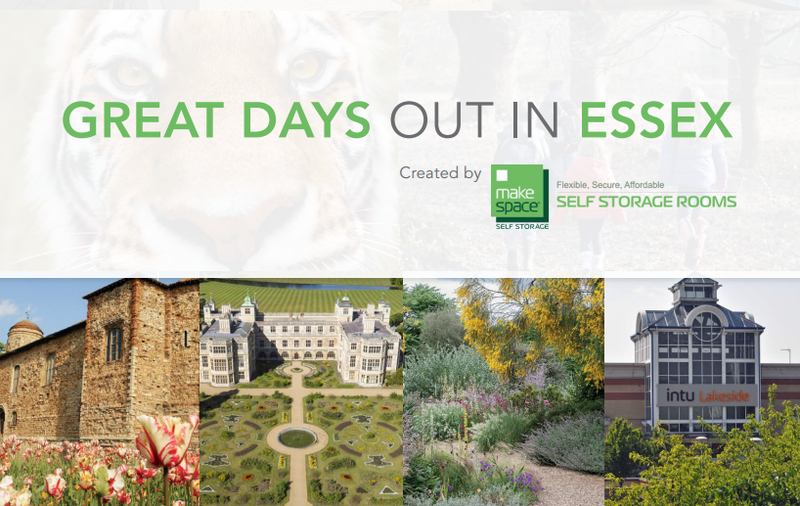 Whether it’s animals, gardens, castles or shopping you’re looking for, Essex has the perfect day out for you. We’ve selected some of the best days out in the county to create Great Days Out in Essex, an in-depth guide listing what to see and do at ten of Essex’s best attractions. Download the guide now by clicking the image below, and get ready to start exploring Essex!